This week at CASEING the catty we are celebrating the gorgeous Home for Christmas section of the Holiday Catalogue (pages 8 -21). This product suite is one of my favourites & is sure to be yours too. It has such a lovely vintage feel from the cute little reindeer to cheeky Santas and the coordinating Cozy Christmas stamp set is a must this Christmas. Also in this section are the Embellished Ornaments, Hearth & Home plus the impressive Sleigh Ride edgelits. There is a lot more in this section to see & use, but I could not go past the Home for Christmas DSP. 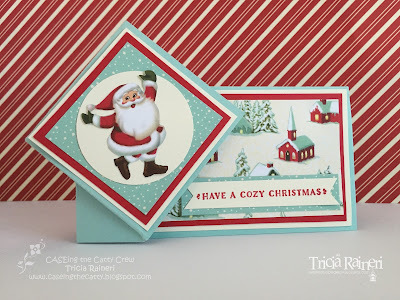 I was cruising around the internet last week & saw this cute twisted Christmas card by Angie over at My Chic & Scratch. It was such an unusual fold I wanted to try it out. Here is the link to her tutorial on Youtube. 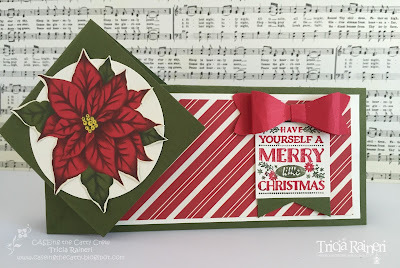 For my card CASED from the Holiday Catalogue, I used the very striking Poinsettia DSP in the Home for Christmas DSP. I cut it out of the DSP & mounted it on a 2 1/2" circle punched out of Vanilla card stock & mounted it on my Mossy Meadow card base. As I wanted a bigger card than those on the video, I changed the dimensions on my card to suit my project. My poinsettia card flat starting dimensions are 26cm x 14.5cm & the finished folded version as shown is 10cm x 18cm. Here is the DSP as shown in the catalogue. This designer paper is my go to DSP this year, I can't stop using it! While I was designing this card I made a smaller version that will fit in a standard envelope. 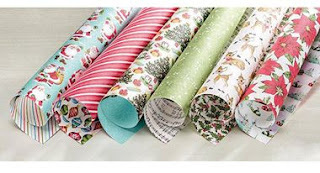 Once again, I could not go past the gorgeous Home For Christmas DSP & a cute vintage Santa snipped out of the larger sheet of Santas in this DSP pack. This card is a bit smaller measuring 15cm x 10cm when finished. So, there you go a fun twist on a Holiday catalogue card. I can see these cards stepped up with lots of bling & glimmer paper, I just didn't have any on hand. Guess what I will be ordering this week! 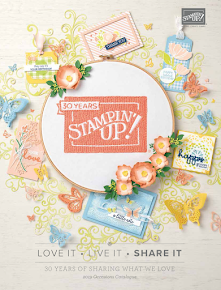 Next up on the blog hop is the wonderful Rebecca at The Paper & Stamp Addict. 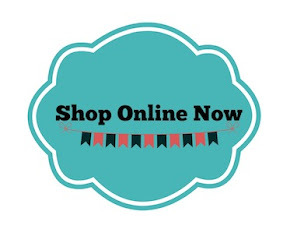 If you get lost or need redirecting, head on over to CTC blog for a full list of hoppers. Oh, I love your twisted cards!! I especially love the Santa on your second card. He's very cute!! Great cards and I totally LOVE the poinsettia card. 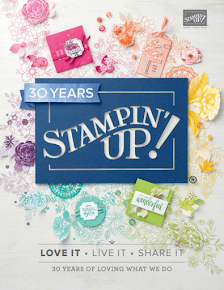 What a fantastic way to showcase this divine paper with your great fold! I love both of your cards, both for different reasons, the poinsettia one is very striking and the santa one is light and fun. These are so fab Tricia! What a fun way to spread the Christmas love! 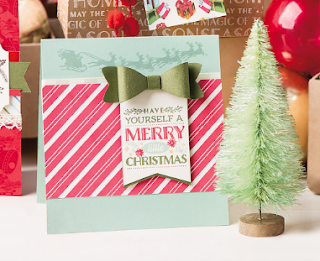 Stunning cards, Tricia! I love the bold colours in the poinsettia, but that Santa is too cute for words.